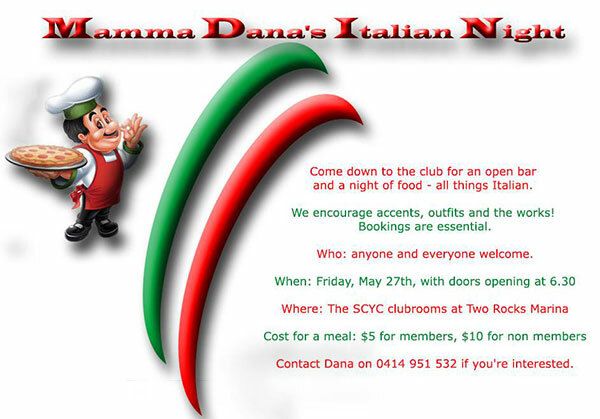 Sun City Yacht Club (SCYC) are holding an Italian Night Friday, May 27th 2016. You are invited down to the club from 6:30pm for an open bar and a night of food – all things Italian. Bring along your accents, outfits and the works! Bookings are essential. Venue: The SCYC clubrooms at Two Rocks Marina. Contact Dana on 0414 951 532 to make a booking.